Gorgeous gorgeous species. 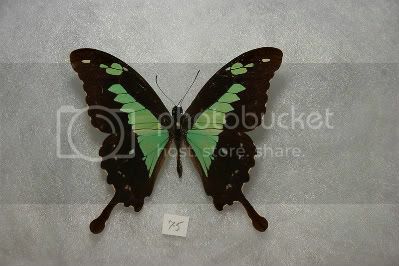 While I was doing my research on these I've "learned" that this may or may not be another sexually dimorphic species (one site say "yes" and has pictures of the supposed female and the other says "no") and that it's related to Papilio dardanus (Wikipedia). There are also numerous subspecies too. They're gorgeous swallowtails. I'd like to know what the hell's going on here with this? The Wikipedia article used the same photo of the supposed female too but mentions nothing on them being sexually dimorphic. Only mentions range and subspecies. Will be asking around about this.